The action started on 1st August at 10am when the workers at the ore-dressing open cast pit started at first with a go-slow and work-to-rule. The action began when haul trucks drivers on their way down to the 305 meter deep quarry reduce speed of the vehicles from normal 40-45 km/h to the more safe 10-15 km/h. Excavator and bulldozer operators, as well as drilling technicians then joined the action in solidarity. Within 24 hours of the workers’ action total rock production had fallen by less than 60% of normal volume. This impact of the workers resistance is continuing. Evaluation is done every 5 years; after the previous one, workers kept their ‘first list’. Since then their trucks became older, while the mine grew even deeper. Despite the fact that the certification of job hazard categories is in contravention of Ukrainian law all legal means to contest it led to protracted and unresolved cases in the courts. In response to this intolerable situation the industrial action is continuing; judging from the results of the first week, management isn’t eager to look for constructive solutions. With their every step, the factory management has sought to escalate the dispute. The independent trade union ‘People’s Solidarity’ has written collective letters to the public prosecutor’s office and to the Ombudsman. The management also appealed to the local authorities, and activists received summons to the local public prosecutor’s office. It seems like the authorities act as the employer’s agents to intimidate workers. One of the workers’ leaders was fired. Some workers were suspended from work. Repression against workers is growing. Now the employer has hired 70 scab drivers from another city and put them up in a hotel in Komsomolsk under the guard of private detectives. Every day, armed with Kalashnikov machine-guns, private guards’convoy scabs to the quarry and back to the hotel giving no possibility even to speak to them. (It should be noted that machine-gun firearms are officially prohibited for private guards in Ukraine.) At the moment strikebreakers have not succeeded in increasing production because they do not find it so easy to drive the heavy mining trucks. It’s clear that it would be impossible to increase output without grave danger for the life of workers. But it looks like the employer does not care about possible fatalities. « restitution of the ‘1st hazard list’ and relevant social and pension benefits to all workers of the mine. This action is clearly provoked by the employer’s impudent unwillingness to meaningfully negotiate with the workers. Ferrexpo Poltava Mining C.E.O. Viktor Lotous said to workers that they are “clowns” and advised one driver to “change his wife” if he can’t provide for the family. Nearly one thousand of workers are involved in the action and are losing now approximately 40% of salary due to the underfulfilment of output norms. 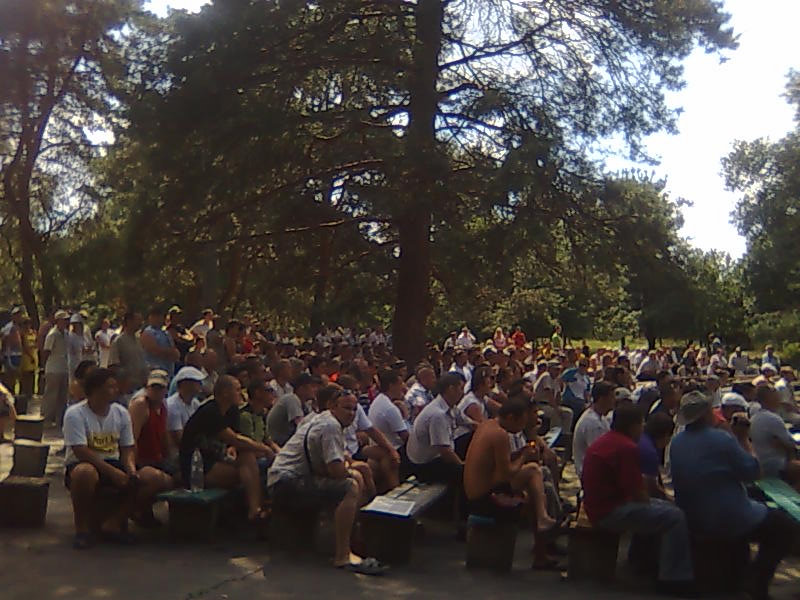 The Poltava miners need international solidarity to force Ferrexpo to stop repression, negotiate seriously and secure the workers’ just demands. Demonstrate outside Ferrexpo’s office in London on Friday 3rd September from 4:30pm at 2-4 King Street, SW1. Sponsors of the demonstration include: The Commune; John McDonnell MP; Labour Representation Committee; Joe Marino, General Secretary of Bakers, Food and Allied Workers Union; Indian Workers Association (GB), Globalise Resistance; Steve Hedley, Organiser and Vaughan Thomas, President, London Region RMT; Glenroy Watson, RMT Finsbury Park branch chairperson; Permanent Revolution, Republican Communist Network; Indian Welfare Association (GB); Latin American Workers Association.